Get the recent job offer from Ministry of Science and Technology Jobs 2019 Application Form Download Online. Government Jobs in Ministry of Science and Technology, are available currently and it is looking to hire staff on Open Merit, Punjab, Sindh, Local Quota for which is looking for well disciplined, caliber and adroit applicants are required to apply for the following positions given below. 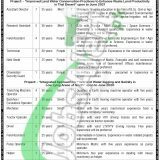 Jobs in MOST - Ministry of Science and Technology are such as (Assistant Director (Tech), Assistant Director Geo-Hydro-Geologist, Sub-Engineer, Field Assistant, Beldar/Field Watcher, Assistant Director, Research Assistant, Field Assistant, Technician, Naib Qasid, Chowkidar/Security Guard, Trenching Machine Operator, Backhoe/Excavatore Operator, Mechanic, Tractor Operator, Driver, Field Assistant, Pump Operator, Helper, Senior Research Officer (Groundwater Analyst), Assistant Research Officer, Data Collector/Field Assistant, Field Worker). All vacancies will be filled on merit basis/observing regional quota as per Govt. rules. The overall qualification Masters/Graduation/Intermediate/Matric/Primary in the relevant field pass applicants having relevant experience are welcome to apply. Age limit should be between 18 to 35 years is required for all posts. Attractive salary package will be given to the applicants with a suitable atmosphere. So, only suitable candidates should apply as per the following how to apply procedure given below. Ministry of Science and Technology is working under the Federal Government which is held responsible and is working for the better progress of in the field of science and technology and is innovating the latest technologies day by day by enunciating newest projects. Being a Federal Govt body it offers Govt jobs of different educational level. 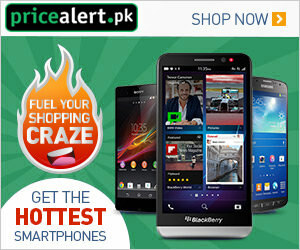 Application form to apply can be downloaded from www.most.gov.pk or www.pcrwr.gov.pk. Fill the application form and submit it without any documents to the following address given below. Address: Secretary, Pakistan Council of Research in Water Resources (PCRWR), Near Edhi House, Sector H-8/, Islamabad.